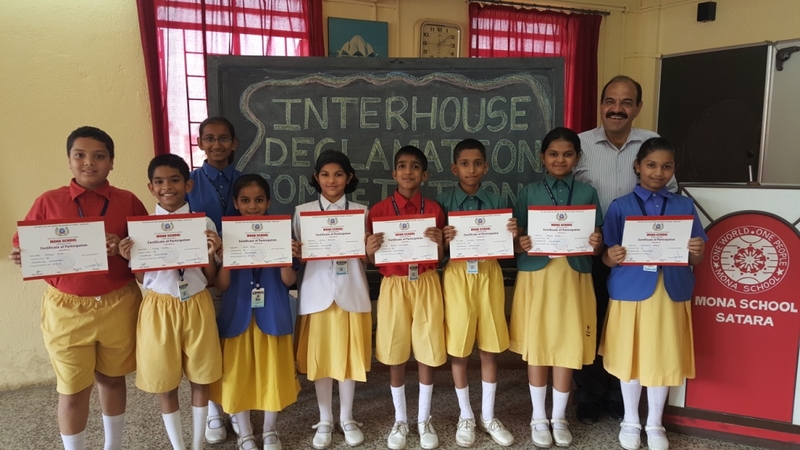 The Inter house Declamation Competition for the Junior Group (Std V-VII) was held on 26th September 2015. The students spoke on an array of topic. Their efforts were indeed commendable and made it very difficult for the judges to select the winners. All the participants were well prepared and their knowledge about their topics left everyone in awe.